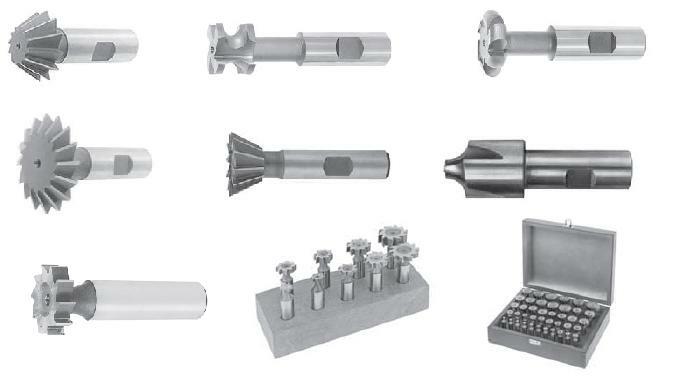 A wide variety of products including the most popular combinations of Keyway Broaches and Bushings in our Keyway Sets, Individual Keyway Push Broaches, One-Pass Keyway Broaches, Production Style Keyway Broaches, Internal Hole Broaches for cutting Standard Square holes, Full Square holes, Hexagon holes, and Round holes. 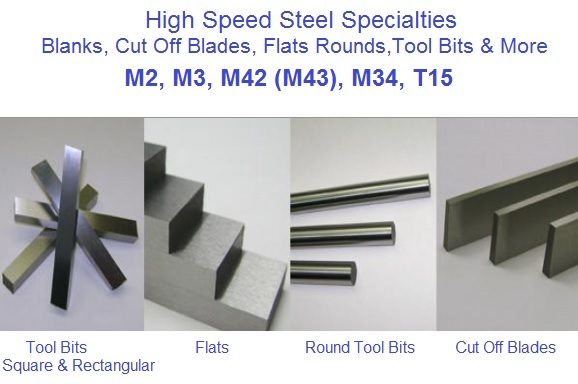 Also available from stock or short delivery Keyseating Broaches, and Industry Standard Pull-Type Keyway Broaches in both 500 and 600 Series as well as Special Design and Application Broaches from non-standard sized keyways and internal hole Broaches to application specific tooling. 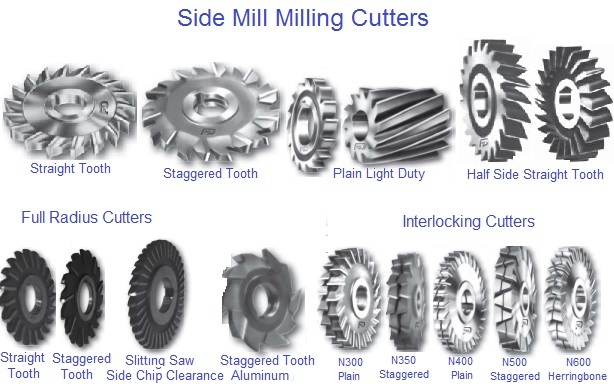 Inside and Outside De-burring Cutters have a real shearing action and are designed for instantaneous removal of the cutoff burrs. 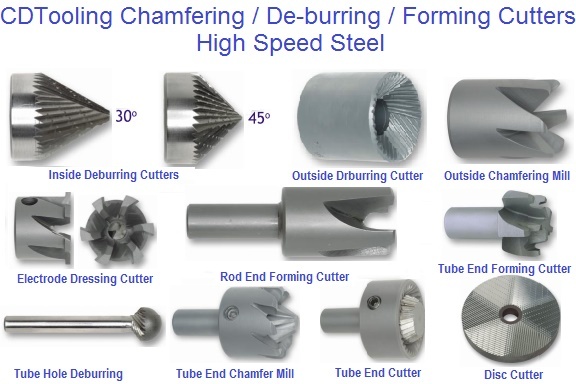 CHAMFERING MILLS are offered in both 30 and 45 angles and rounded Form. 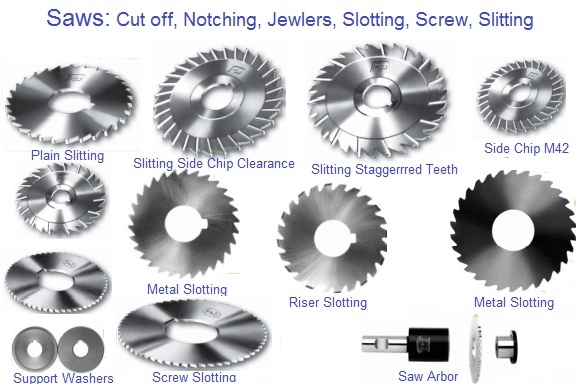 DRESSING CUTTERS are ideal for frequent, quick, sizing. used to form ends on rods, wire parts, etc. 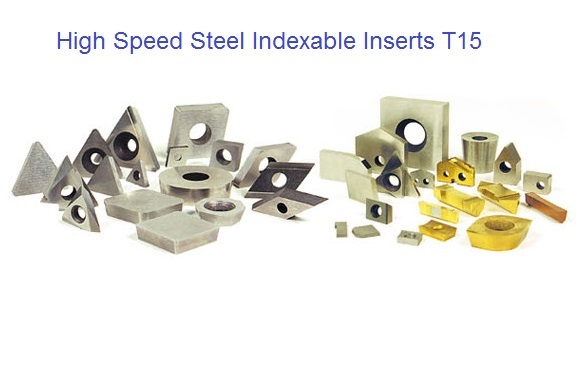 CDTooling Indexable Inserts T15 High Speed Steel inserts may be the answer to many machining problems where other materials fail by chipping or breakage. 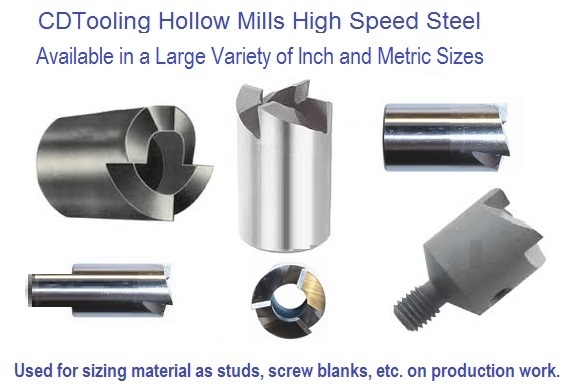 High Speed Steel performs at slow surface speeds while providing a good surface finish, without chipping or breaking. 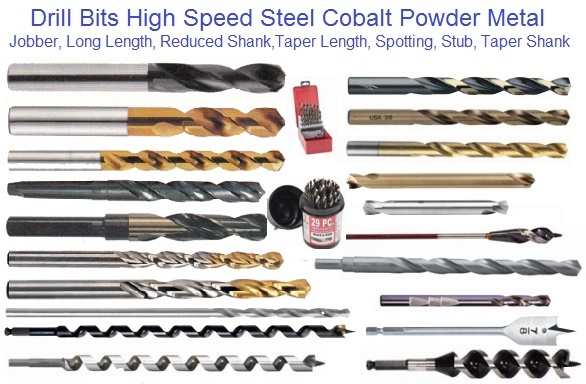 This is in part because High Speed Steel inserts cut rather than fracture the metal like other materials. 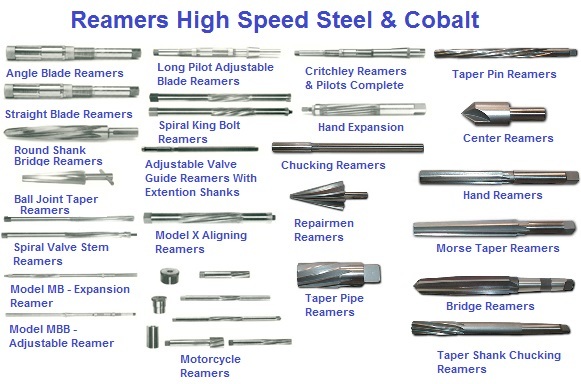 An Extensive Variety of High Speed Steel and Cobalt Reamers ready to ship for all of your Reaming applications. 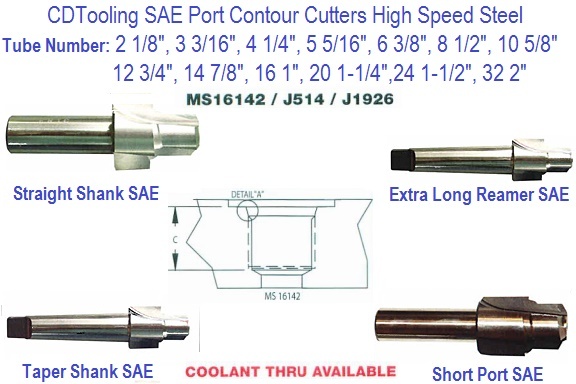 Adjustable Blade, Aligning,Ball Joint, Bridge, Car, Center, Chucking, Expansion, Gilchrist, Hand, King Pin, Long Forcing Cone, Model MB, Morse Taper, Motorcycle,Pin, Repairman, Rose Pilot, Shell, Spiral Valve Guide, Taper Pin, Taper Pipe, Valve Guide Reamers. 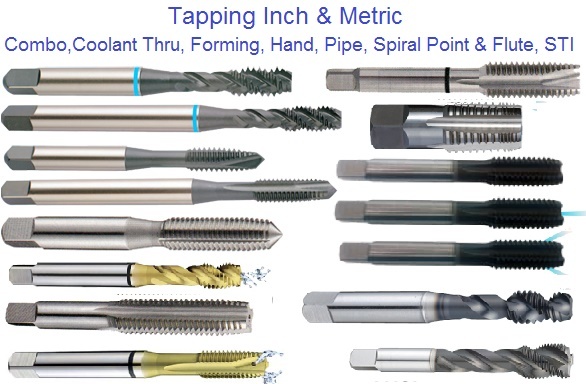 An Extensive Supply of Standard and Special Pitch Taps. ISO Metric and ANSI Inch Sizes. 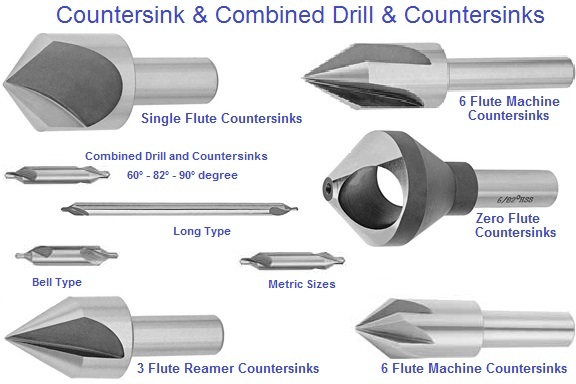 Combo, Coolant Thru ,Hand, Pipe, Spiral Flute, Spiral Point, Combination Drill and Tap. Material Specific and Multi Purpose.